The following guidelines apply to the Modern Eggshell finish, suitable for interior wood or concrete floors. Ensure the interior floor surface is sound, clean, dry and free from dirt, grease and any other contamination. For wood floors sand back sharp edges and any raised grain. Fill any open joins and cracks with a dedicated non flexible wood filler. Ensure the floor is thoroughly clean using an appropriate floor cleaner. Sand to a smooth finish, vacuum and wipe down with a damp cloth. Where required use Farrow & Ball Wood Knot & Resin Blocking Primer to patch prime knotty or resinous woods (Please refer to the Product Advice Sheet for more detailed information). Apply one full coat of Farrow & Ball Wood Floor Primer & Undercoat in the correct color tone for your top coat to seal. Allow a minimum of four hours drying time between coats. Areas of old paint that have peeled or blistered need to be removed as per the instructions for bare wood floors. For the best finish and longest service life, as much of the previous paint as possible should be removed. Ensure the floor is thoroughly clean using an appropriate floor cleaner. Where required use Farrow & Ball Wood Knot & Resin Blocking Primer to patch prime knotty or resinous woods (Please refer to the Product Advice Sheet for more detailed information). 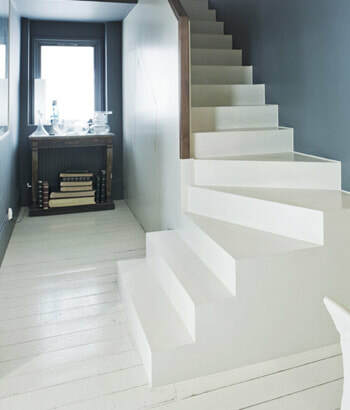 Apply one full coat of Farrow & Ball Wood Floor Primer & Undercoat in the correct color tone for your top coat to seal. Allow a minimum of four hours drying time between coats. Areas of varnish that have peeled or blistered need to be removed. For the best finish and longest service life, as much of the varnish as possible should be removed. Ensure the floor is thoroughly clean using an appropriate floor cleaner. Where required use Farrow & Ball Wood Knot & Resin Blocking Primer to patch prime knotty or resinous woods (Please refer to the Product Advice Sheet for more detailed information). Apply one full coat of Farrow & Ball Wood Floor Primer & Undercoat in the correct color tone for your top coat to seal. Allow a minimum of four hours drying time between coats. These may not accept Modern Eggshell, contact Farrow & Ball Customer Services for more guidance. These should be left for at least three months before painting. Repair and fill any unsound concrete surfaces, allowing adequate time for the filler used to cure, before applying one coat of Masonry & Plaster Stabilizing Primer. Remove any surface debris and clean. Rub down any areas that have peeled or blistered to achieve a good ‘key’. Apply Farrow & Ball Masonry & Plaster Stabilizing Primer to areas of exposed concrete. Prior to application, the heating must be switched off for 48 hours to allow the surface area to cool down. Once surface has been painted, allow a further 48 hours before the heating is switched back on. When using more than one tin of the same color check that the batch numbers are the same (see the base of the tin). If not then mix the tins together before use. Stir paint thoroughly before use. Apply two coats using a brush or roller. A third coat may be necessary depending on the color of the top coat and the original surface color On application of the final coat lay off the paint in a single direction. Modern Eggshell is touch dry in two hours and can be recoated in four hours. Allow 24 hours for normal use and 14 days before placing or moving heavy items (such as furniture or vehicles) on to the surface. Clean brushes and rollers with warm soapy water.